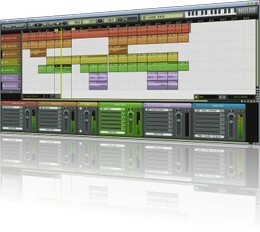 MuTools has updated its MuLab and MUX VST to version 5.1. MuLab is a top-quality sound and music production system for Mac OSX and Windows, transforming your computer into an inspiring modular studio. The MUX is the modular sound heart of MuLab. With the MUX Vst plug-in its fantastic sound and great flexibility is also available for use in other DAWs. (MUX VST) Added a “Edit VST Initial Delay” function, available in the deep editor options menu. (MUX VST)Browser: Doesn’t show the redundant “Switch To Docked Mode” anymore. MuLab 5 is available to purchase staring at 29 EUR; MUX 5 UL is 49 EUR.